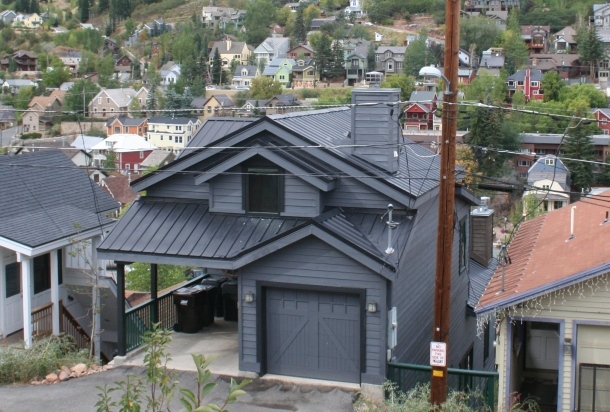 Park City’s alpine paradise lures visitors from all over the world, and Our Park City Home is your passport to a myriad of recreational activities. Experience the excitement of the top “Best Ski Resort in North America” as rated by Ski Magazine. Snow-capped Wasatch Mountain peaks crown this winter wonderland. 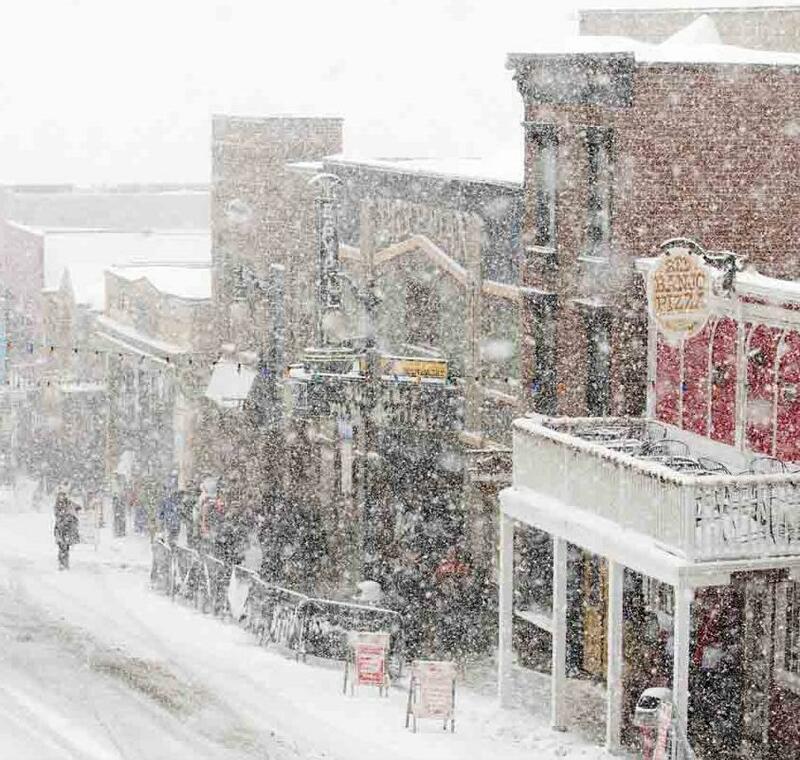 Skiers of all levels will enjoy Park City’s groomed runs and an abundance of winter events. 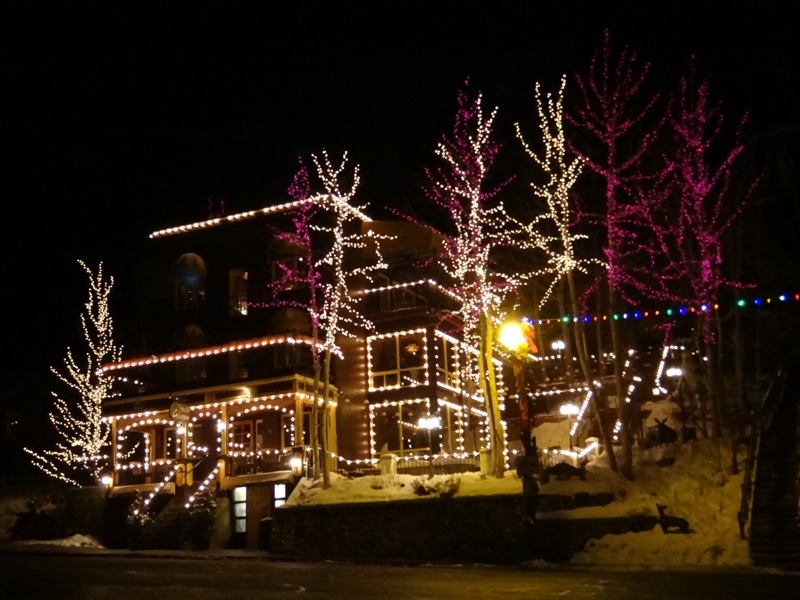 From ice skating in the village to evening fireworks, you’ll soon see why there’s no place like Park City. on your ride up to the house. 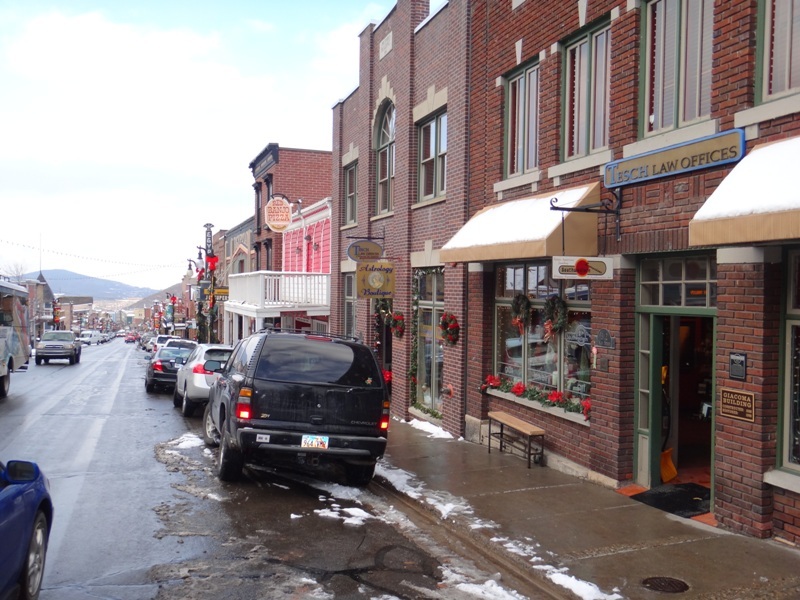 You can get a sneak preview with a Park City Photo Tour. 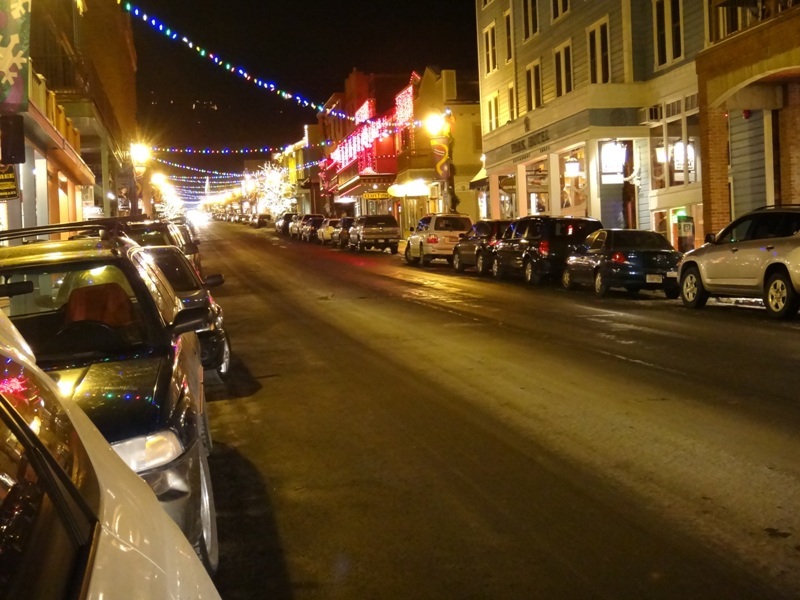 As sunset approaches the Wasatch Range, the Western-style stores on Park City Main Street light up with après-skiers and shoppers. 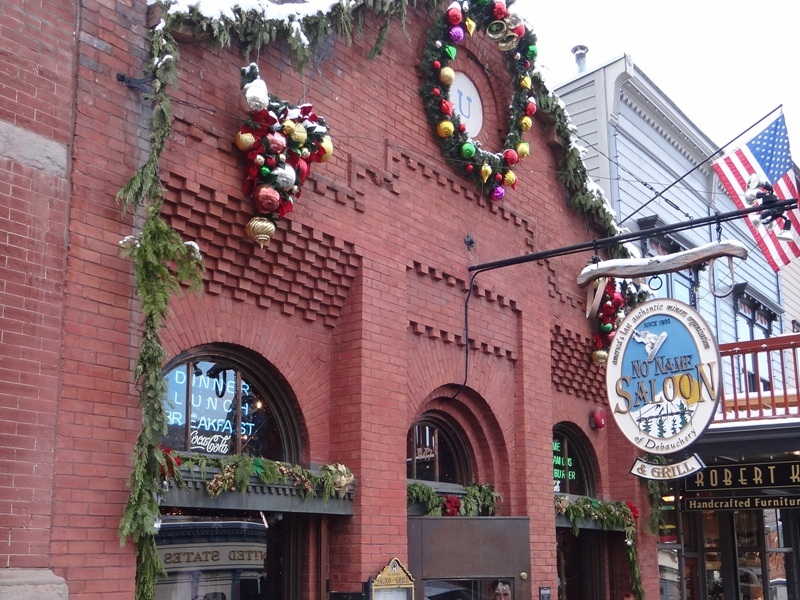 You can stylish shops between the ski shops and galleries. 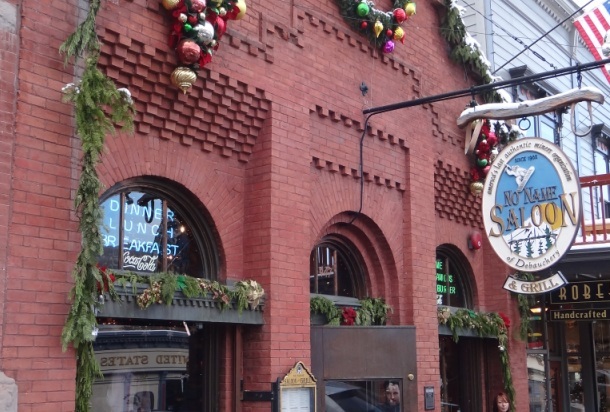 Check out the Kimball Art Center (638 Park Avenue) or one of the many fashionable boutiques. 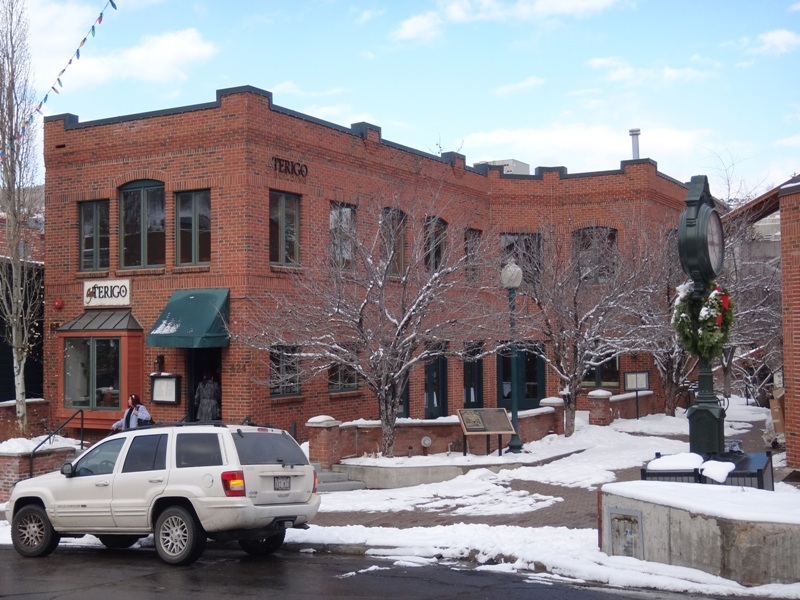 Enjoy dinner at one of the swanky Park City restaurants such as Talisker (515 Main Street), Riverhouse Riverhorse (540 Main Street) or check out the casual brewhouse Wasatch Brew Pub (250 Main St). You can find good organic locally grown/raised meals and other yummy treats. You can find a range of décors from Old-West style to modern environments. Talisker has a cozy dining room that ‘feels like an English clubhouse squeezed inside an ice cream parlor’ with its tin ceilings and checkerboard floors. You can expect crisp yet relaxed service. 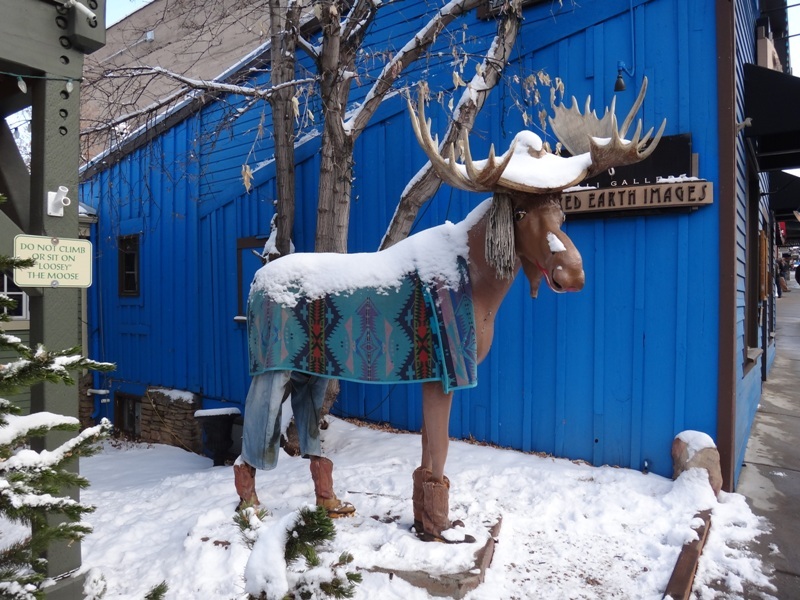 You can feel comfortable in après-ski or your finest. You can find other dining options on or . 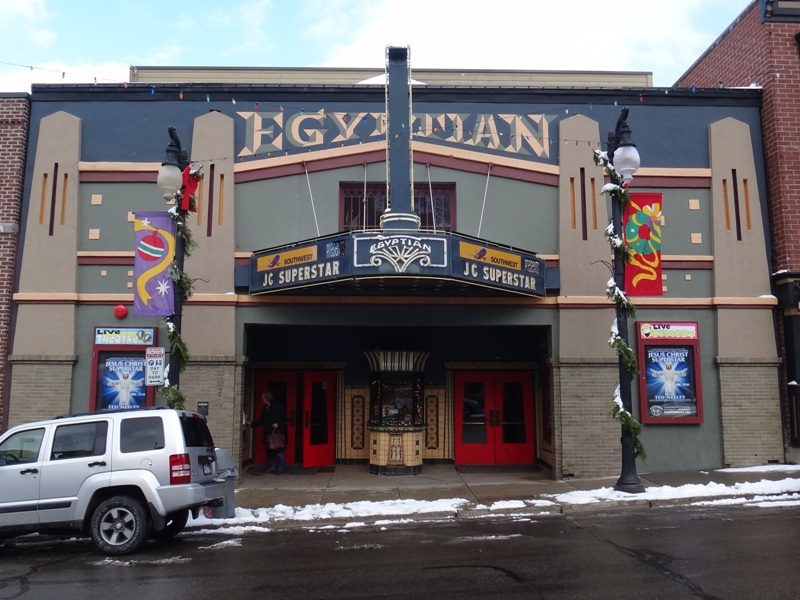 Experience Sundance charm at the Egyptian Theater Company (328 Main Street), the pharaoh-themed landmark that is a block down main street from the house. 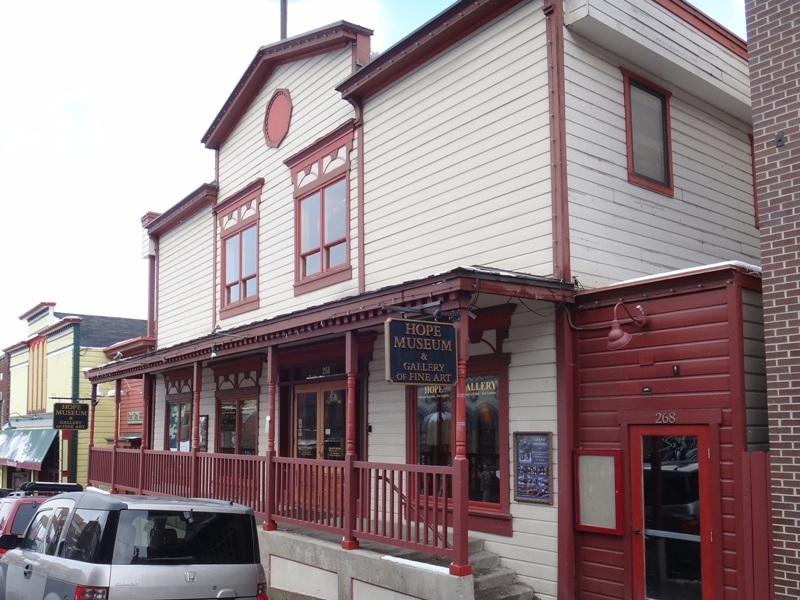 This 1926 theater is frequently used for red carpet events, concerts, comedy acts and other live performances. 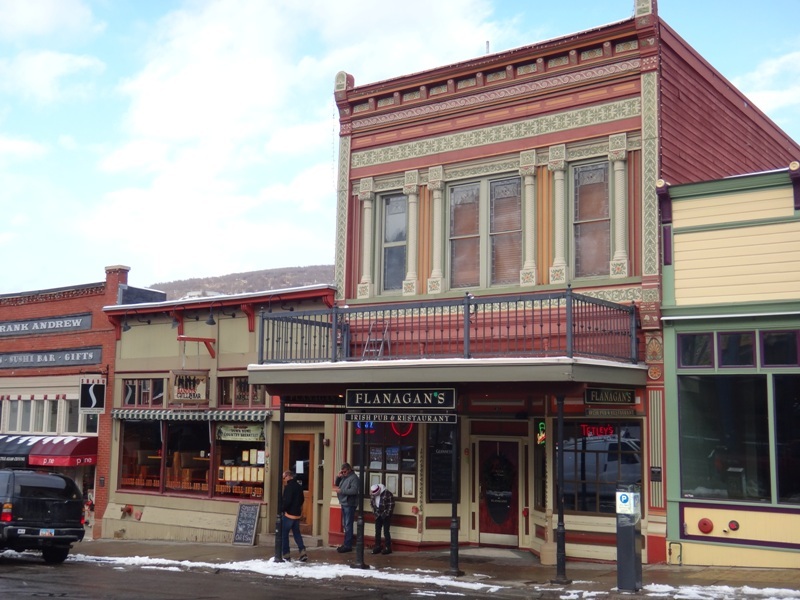 The Park City Film Series (1255 Park Avenue) offers alternative with a stellar lineup of indie films. 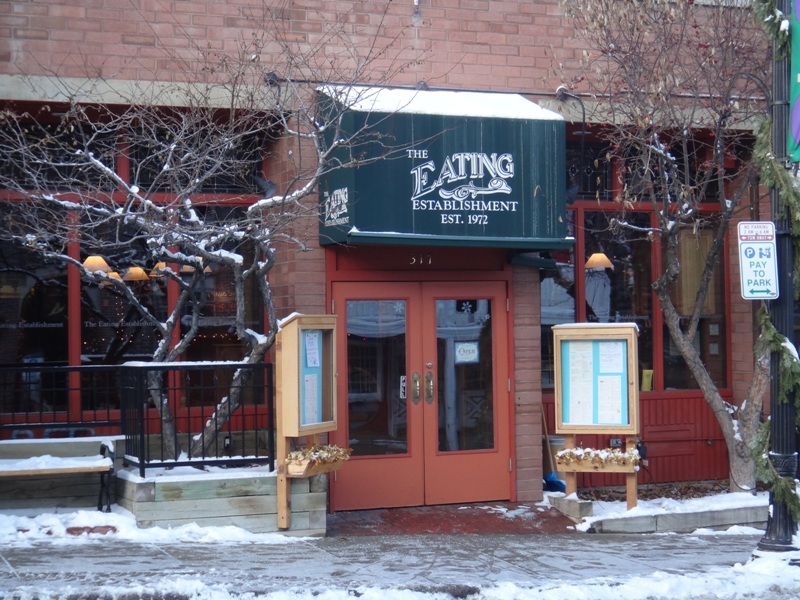 If you’re in town during Sundance Film Festival you’ll have plenty of options, book early for dinner. 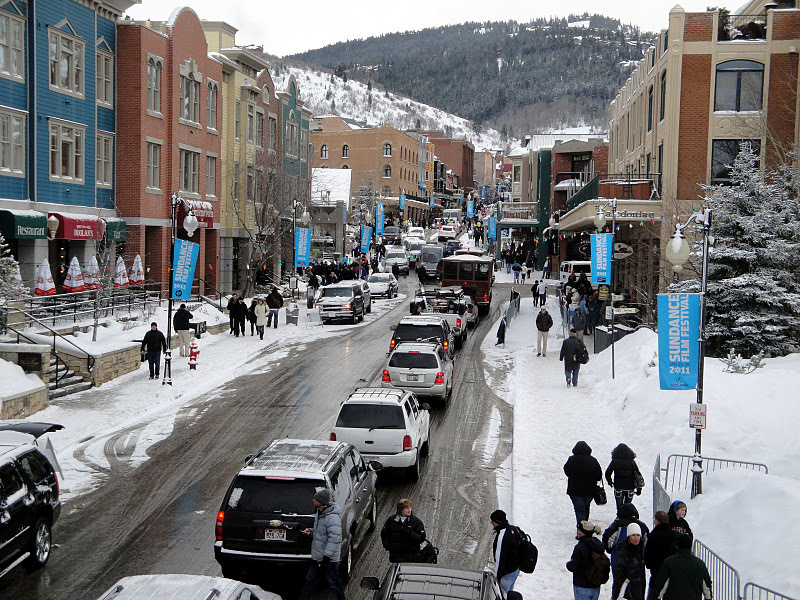 A short walk down Main Street or a quick ride on the Park City shuttle bus and you can enjoy a day skiing on Park City Mountain Resort which was rated the #1 family vacation destination for 2012. There are amenities to satisfy everyone: 9 bowls, 8 peaks, 3,300 acres of terrain, 3 terrain parks, Kids ski school, Private and adult group lessons, Alpine coaster and flying zip line & Mountain restaurants + 370 inches of the world’s greatest snow. 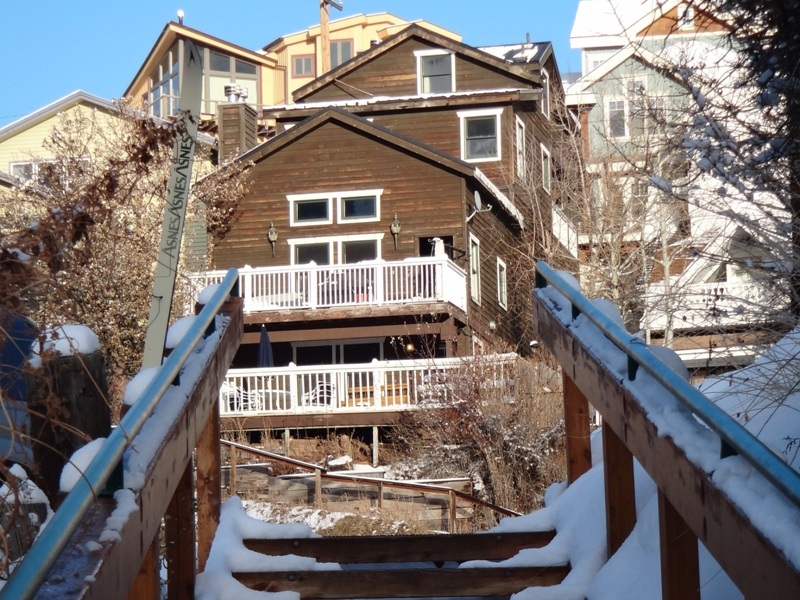 Tucked between the ski shops and restaurants, Town Lift will take you right up the mountain. 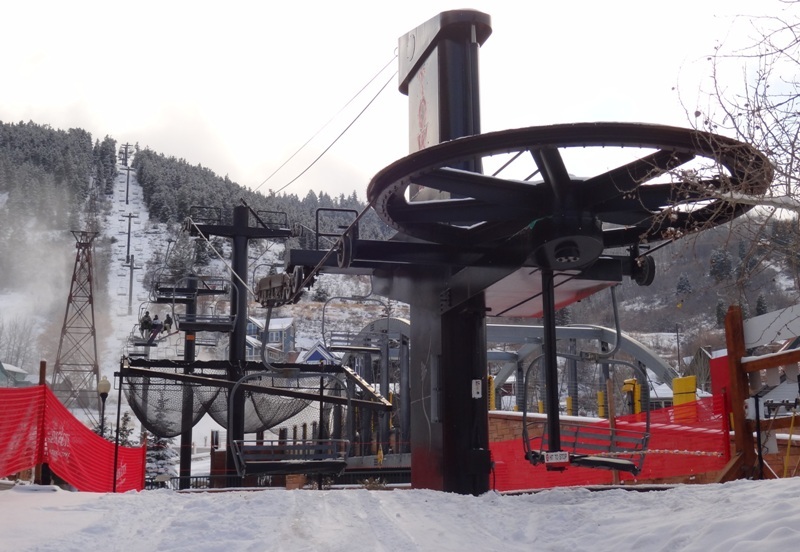 The triple chair lift on Main Street whisks riders to the 3,300 acres of terrain from Park City Mountain Resort, so there’s no need for parking or shuttles. Once you’re on the mountain check out the numerous mining structures scattered over the mountainside. 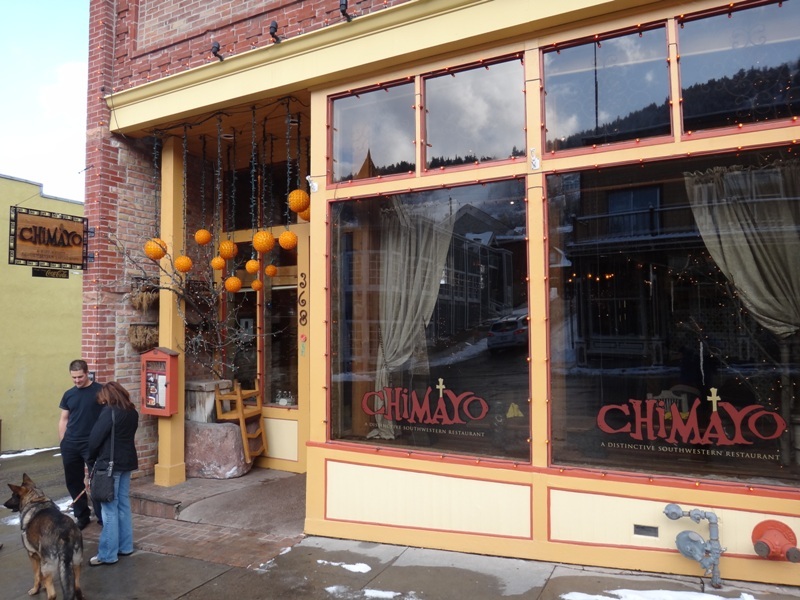 If you are looking for additional food options on the mountain, you can ride down the town lift (or ski down the run) to grab lunch at one of the many restaurants on Main Street for a more civilized lunch. 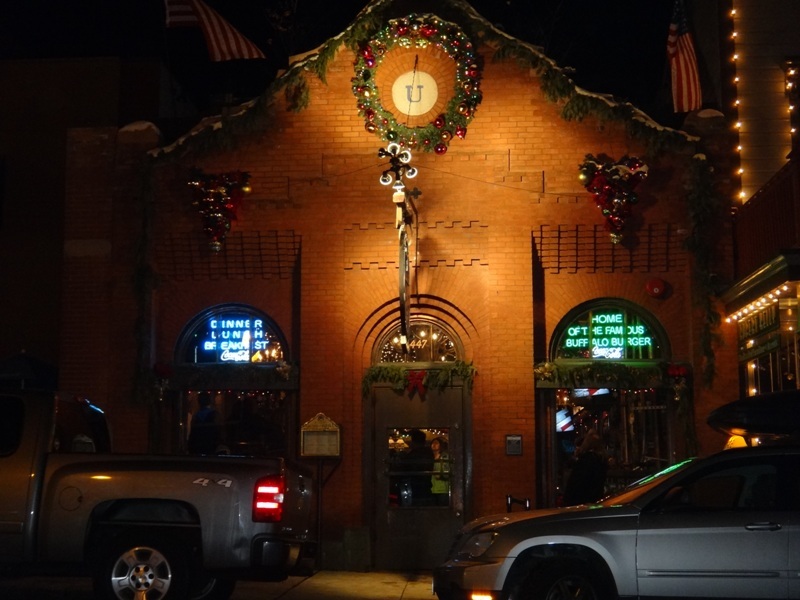 You can find upscale fare in a dress-down setting at Robert Redford’s restaurant, Zoom (660 Main Street), which is in a former train depot. After lunch, grab your trail map and head up the mountain again. After a full day of skiing, there’s nothing like a cold beverage with your new friends from the mountain. 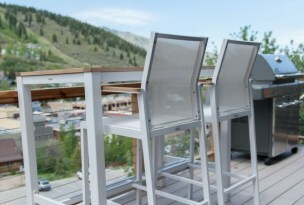 Head to one of the hot spots that are frequented by skiers: the rooftop bar at the Sky Lodge (201 Heber Avenue) or head up the road to the Spa Montage in Deer Valley (9100 Marsac Avenue), an ancient Roman wellness center with saunas, whirlpools, and massage services or stay in town at Park City Spa and Massage Therapy Services. Alternatively, head back to the house for the privacy of your own hot tub and sauna and rest up for dinner. 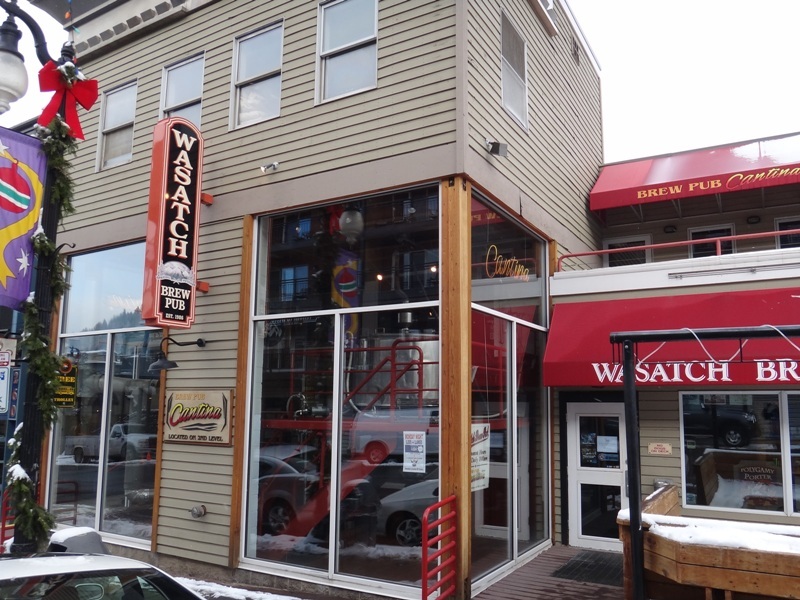 High West Distillery and Saloon (703 Park Avenue), Utah’s first distillery gets great reviews for its whiskeys and vodkas. Stay for dinner also to enjoy the nouveau-Western menu, with aged bison or pan-seared trout. High West also offers a good tasting menu, which pairs a five-course dinner with individual whiskeys. Keep the night going at No Name Saloon (447 Main Street), a packed all-ages spot that helps “People Forget Their Names Since 1903.” The younger singles crowd can be found Downstairs (625 Main Street) which has disco thumping late into the night. 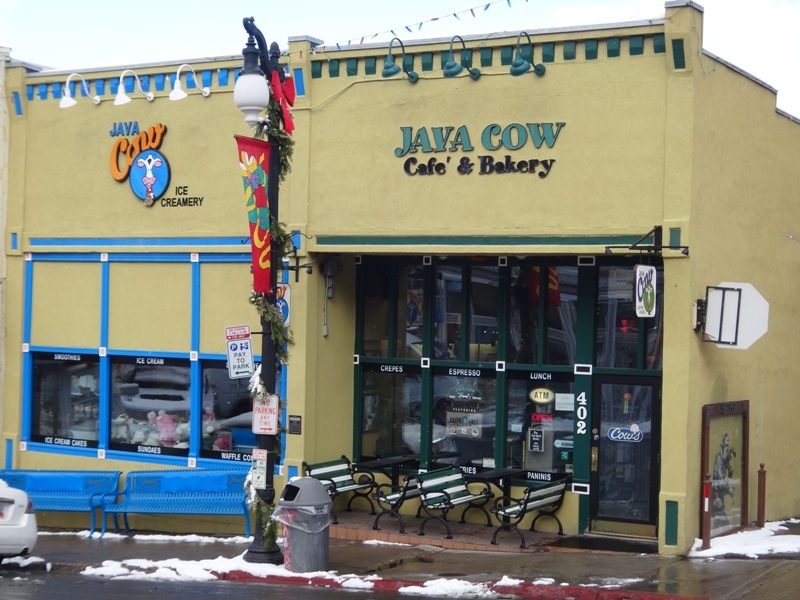 After a quick cappuccino and freshly baked pastry at Java Cow (402 Main Street), head to the Utah Olympic Park(3419 Olympic Parkway), home to the Salt Lake City 2002 Olympics, which is an active training center for Olympic skiers. If you’re lucky, you’ll see someone flying down the K120 Nordic ski jump. If you’re daring you can catch some air as the the park offers Sunday ski clinics. Real speed demons should check on the Comet Bobsled. This mile-long track offers hair-standing 80-mile-per-hour speeds and G-forces that will put any roller coaster to shame. It’s $200 per person so bring your gold card. 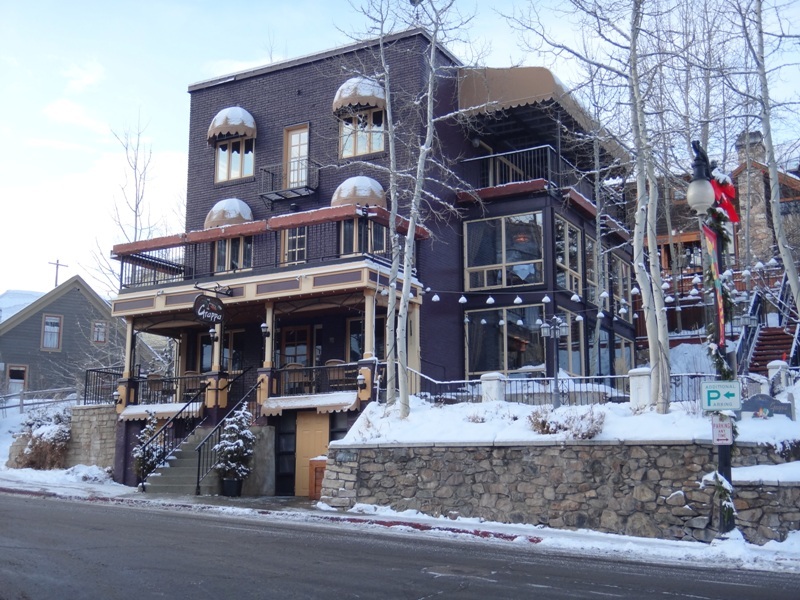 If you have time for some more skiing, head back up the mountain in Park City or check out one of the other resorts – Deer Valley Resort or The Canyons Resort . 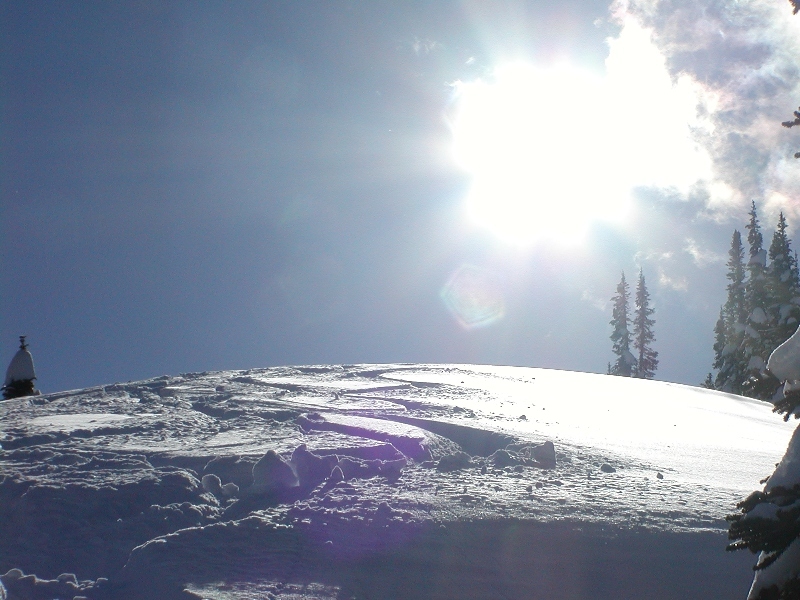 Both resorts feature 1,000’s of acres of terrain, lifts, and winter fun. If you’re done skiing, you could head to Gorgoza Tubing Park (3863 Kilby Road Park City, UT 84098) which is on the way back to Park City. If you’re sticking around another day, consider exploring the alpine by Cross Country Skiing or travelling through the Wasatch on your skis with Ski Utah Interconnect Back-country Ski Tour. In either case, you’ll want to check out the Utah Snow Report, which will also give you details on the skiing on the West side of the Wasatch (Alta, SnowBird, Solitude, Brighton). If you’re looking for other winter activities, consider Snowshoeing, Ice skating & Hockey, Snowmobiling , or Dog Sledding.